Take I-95 N to exit #33/CHARLESTON/BEAUFORT onto US-17 N. Continue on US-17 for 50 miles. Turn left on BEES FERRY RD and continue on BEES FERRY RD for 2.8 miles. Turn right on GLENN MCCONNELL PKWY and continue on GLENN MCCONNELL PKWY for 0.6 miles. Turn left on GOODWILL WAY. Turn right on SHELBY RAY CT. CHARLESTON VETERINARY REFERRAL CENTER will be on your right. Take US-17 South for 87 miles. Exit right to take ramp onto I-526 W toward N. CHARLESTON/SAVANNAH. Continue on I-526 West for 17.7 miles. Exit #11B/ASHLEY RIVER ROAD (SC-61 N) onto PAUL CANTRELL BLVD and continue for 0.7 miles. Continue on GLENN MCCONNELL PKWY for 1.6 miles. Turn right at the traffic light on MARY ADER AVE . Turn left on SHELBY RAY Court. CHARLESTON VETERINARY REFERRAL CENTER will be on your left. Take I-526 W toward SAVANNAH. Exit #11B/ASHLEY RIVER ROAD (SC-61 N) onto PAUL CANTRELL BLVD and continue for 0.7 miles. Continue on GLENN MCCONNELL PKWY for 1.6 miles. Turn right at the traffic light on MARY ADER AVE. Turn left on SHELBY RAY Court. CHARLESTON VETERINARY REFERRAL CENTER will be on your left. Take US-17 S. Bear right to take ramp onto I-526 E toward NORTH CHARLESTON. Continue 1.4 miles. Exit #11B/ASHLEY RIVER ROAD (SC-61 N) onto PAUL CANTRELL BLVD and continue for 0.7 miles. Continue on GLENN MCCONNELL PKY for 1.6 miles. Turn Right on MARY ADER AVE. Turn left on SHELBY RAY Court. 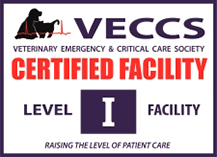 CHARLESTON VETERINARY REFERRAL CENTER will be on your left.